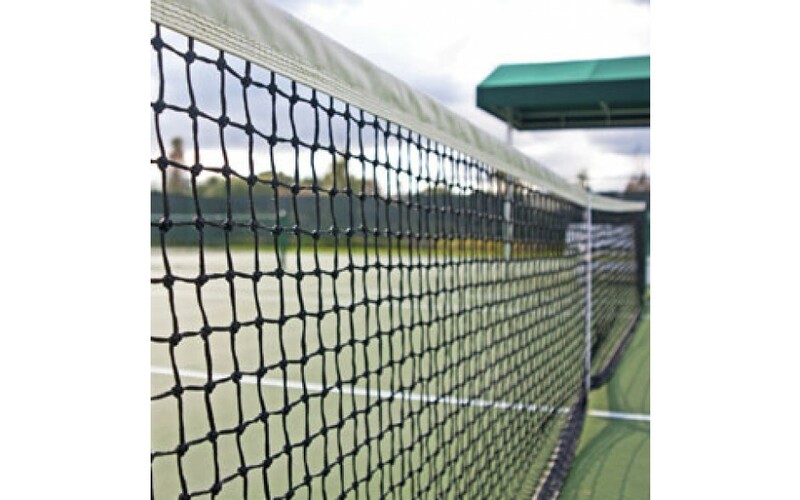 This high quality tennis net is made from 3.5mm braided black twine with a vinyl coated fabric headband and plastic coated wire headline. NET: 3.5mm Briaded with 6 meshes double stitched. 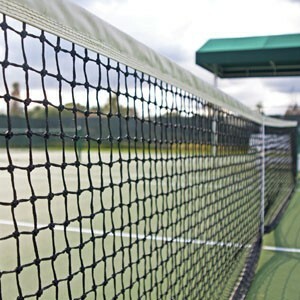 This double braided tennis net, is made from the same 3.5mm braided black twine as the single braided net above, but also has the top six meshes double stitched for extra strength and durability. Complete with a vinyl coated fabric headband and a plastic coated wire headline.